Now as you know, reading the guidebooks is not always enough, often candidates are required to prepare themselves to adapt to the exam pattern, syllabus and time allotted to solve the questions. · Jurisprudence also known as jurists or legal theorists is the theoretical study of law. 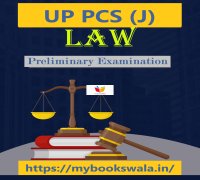 · English/Hindi Language Sample Test Paper of UP PCS J Law Prelim Exam without any cost. · Free Reasoning Sample Test Paper of UP PCS J Law test paper with 100+ Free Sample Question Sets. · Buy 500+ Mock Test Series of PCS J General Study test papers only 30.00Rs. for 30 days.